 Student Learning Outcomes at Gordon College connect the curriculum explicitly to the mission as we strive to graduate men and women distinguished by intellectual maturity and Christian character, committed to lives of service and prepared for leadership worldwide. A strong foundation is laid in the Goals for Learners, and individual departments articulate specific outcomes as a shared set of tangible qualities that characterize graduates of major programs of study. Statements of learning outcomes are found below, and more information on each program of study can be found through informative pages for each academic major. Successful graduates of the accounting major will be able to classify, categorize, and develop financial statements that are relevant to a reporting entity and also faithfully represent what really existed or happened in order to facilitate decision making. Successful graduates of the accounting major will be able to compile, present, and analyze financial statements and information that is comparable, verifiable, timely, and understandable for potential investors, lenders, owners and general public in order to facilitate decision making. Successful graduates of the accounting major will be able to demonstrate understanding of the regulatory and professional standards and pronouncement relevant to accounting and be able to interpret and apply that authoritative guidance appropriately in specific contexts including tax, financial statement preparation, and other agreed upon assignments. Assemble, analyze, and evaluate quantitative and qualitative information relevant to businesses and the economy, and communicate its significance for an organization’s decision-making. Use economic reasoning to explain how changing market conditions and government policies affect households, organizations, and society as a whole. Demonstrate technical competence appropriate for employment in accounting, business, economics, and/or finance. Present and defend judgments about the role in the marketplace of stewardship and virtues such as wisdom, courage, moderation, and justice. Explain the implications of their Christian worldview and faith for the practice of accounting, business, economics, and/or finance. Successful graduates of the visual arts program at Gordon College will be able to create individual aesthetic statements in the studio and write and orally defend with both theoretical and historical context; arriving at personal and public meaning through studio art work. Successful graduates of the visual arts program at Gordon College will be able to articulate the conceptual and historical relevance of their own work. Successful graduates of the visual arts program at Gordon College will be able to analyze and interpret visual arts products in the traditional Western, non-Western, and contemporary art cultures. Successful graduates of the visual arts program at Gordon College will be able to explore, discern, and carry out their vocational callings within the discipline of visual arts––prepared for graduate study and/or beginning professional work in art-related fields. Successful graduates of the Biblical Studies major will be able to demonstrate knowledge of the Old and New Testament texts and their interrelationship with the cultural, geographical, historical, and political contexts surrounding those texts. Successful graduates of the Biblical Studies major will be able to state the central doctrines of the Christian faith and describe the rich history and complexity of thought and diversity of practices within major Christian traditions. Successful graduates of the Biblical Studies major will be able to engage in respectful and substantive theological discussions with those whom they encounter within the Church, in the academy, and in the wider public arena. Successful Biblical Studies graduates will be able to demonstrate the research skills necessary for biblical and theological interpretation. Successful graduates of the Biblical Studies major will be able to communicate their increasingly refined and coherent hermeneutic for addressing the biblical text as it speaks to their 21st century world. Successful graduates of the Biblical Studies major will be able to articulate their understanding of the vital importance of submission to the authority of the living Word of God. Successful graduates of the Biology major will understand, examine, and be able to articulate content from the breadth of biological topics, ranging from subcellular to biosphere systems, including organisms in all domains of life. Successful graduates of the Biology major will demonstrate an ability to manipulate and use equipment and techniques to analyze and collect data from molecular to ecological scales. Successful graduates of the Biology major will be able to design, execute, and communicate an empirical research study in the biological sciences. Successful graduates of the Biology major will critically evaluate empirical literature within the biological sciences, identifying strengths and weaknesses of experimental approaches, methodologies, and justifications. Successful graduates of the Biology major will demonstrate the skills required to present a research project in oral and written formats in a professional forum. Successful graduates of the Biology major will analyze connections between human health and well-being through the biological sciences (e.g., nutrition, disease, illness, environmental sustainability, and stewardship). Successful graduates of the Biology major will articulate an understanding of the relationship and integration of the biological sciences to the Christian faith, particularly pertaining to controversial topics. Successful graduates of the Business Administration major will identify the roles accounting, finance, management, marketing, and economics play in running a business. Successful graduates of the Business Administration major will organize and interpret the basic financial data of a for-profit enterprise. Successful graduates of the Business Administration major will interpret investment, financing, and governance decisions of corporations. Successful graduates of the Business Administration major will analyze the development, pricing, promotion, and distribution of products and services to customers. Successful graduates of the Business Administration major will explain managerial planning, organizing, controlling, and leading from both a rational and interpretive perspective. Successful graduates of the Business Administration major will evaluate different approaches to strategy formation and ethical decision- making in business. Successful graduates of the Chemistry major will understand, examine, and be able to articulate content from core chemical topics of organic chemistry, analytical chemistry, and physical chemistry. Successful graduates of the Chemistry major will understand, examine, and be able to articulate content from concentration-specific advanced chemical topics from among inorganic chemistry, biochemistry, special advanced topics, and relevant courses offered by other departments. Successful graduates of the Chemistry major will demonstrate an ability to use equipment and techniques to analyze and collect data in the lab. Successful graduates of the Chemistry major will demonstrate an ability to manipulate and use equipment and techniques to prepare chemical substances in the lab. Successful graduates of the Chemistry major will be able to design, execute, and communicate, orally and in writing, a research study in the chemical sciences. Successful graduates of the Chemistry major will demonstrate the skills required to present technical information in a professional manner in a variety of formats through both informal and formal oral, poster, and written assignments. Successful graduates of the Chemistry major will critique and improve the safety of chemical practices by utilizing the principles of green chemistry. Successful graduates of the Chemistry major will articulate an understanding of the relationship and integration of chemistry to the Christian faith. Successful graduates of the Chemistry major will be equipped to further their studies in graduate school or to be successfully employed in entry-level positions in the chemical enterprise. Successful graduates of the Christian Ministries major will be able to engage in respectful and substantive theological discussions spanning issues and Christian perspectives on faith and life. Successful graduates of the Christian Ministries major will be able to contribute to the study of Christian ministries by utilizing a practical theology research methodology. Successful graduates of the Christian Ministries major will be able to describe the nature, purpose, and ministries of the church. Successful graduates of the Christian Ministries major will be able to navigate the process of discerning an ecclesiastical calling. Successful graduates of the Christian Ministries major will be able to identify issues concerning personal ethics, character, spiritual conscience, and the decision-making process of the person as minister. Successful graduates of the Christian Ministries major will be able to demonstrate the research skills of hermeneutics necessary for biblical and theological interpretation. Successful graduates of the Christian Ministries major will be able to demonstrate the method of theological reflection as an instinctive mode of response in matters of faith and life as well as ministry practices. Successful graduates of the Christian Ministries major will be able to articulate a theology of evangelism, discipleship, and spiritual formation that is faithful to the Scriptures in content and consistent with the historic Christian heritage. Successful graduates of the Christian Ministries major will be able to construct theological responses to questions inherent to contemporary culture. Successful graduates of the Christian Ministries major will be able to compare and contrast various visions of leadership in Christian and corporate contexts. Successful graduates of the Christian Ministries major will be able to communicate clear ideas for specified audiences using different presentation mediums. Successful graduates of the Christian Ministries major will demonstrate the ability to integrate theoretical frameworks to a ministry context through a practicum experience. Successful graduates of the Computer Science major will be able to analyze a client's requirements and design, implement, document and test a software solution. Successful graduates of the Computer Science major will be able to work collaboratively on technical projects. Successful graduates of the Computer Science major will be able to apply sound software development principles to a project. Successful graduates of the Computer Science major will be able to write non-trivial programs in several programming languages. Successful graduates of the Computer Science major will be able to learn and use new programming languages. Successful graduates of the Computer Science major will be able to identify and apply appropriate data structures and algorithms when solving problems. Successful graduates of the Computer Science major will be able to make appropriate decisions about ethical issues such as privacy. Successful graduates of the Computer Science major will be able to take security implications into consideration as part of designing a system. Successful graduates of the economics major will be able to use mathematical methods of optimization and graphical analysis to explain the behavior of firms and households, and interpret the practical implications of the models’ results. Successful graduates of the economics major will be able to apply the leading models of macroeconomics to explain both long-term economic growth and short-term fluctuations. Offer interpretations for prominent examples of past growth and recent fluctuations, including their implications for households, financial decision-makers, and public policy. Successful graduates of the economics major will be able to understand and apply the primary models of at least two fields of applied economics, and use the models to analyze quantitative data and evaluate policy recommendations. Successful graduates of the economics major will be able to design a statistical test to estimate the causal relationship (if any) between two or more economic variables, and conduct the test using statistical software. Successful graduates of the economics major will be able to synthesize existing knowledge about an economic policy, and present evidence-based conclusions about the policy’s consequences (both intended and unintended). Successful graduates of majors in the Education department will be able to prepare and teach well-structured lessons with objectives, student engagement strategies, pacing, sequence, activities, materials, resources, technologies and grouping. Successful graduates of majors in the Education department will be able to make adjustment to practice by organizing and analyzing result from a variety of assessments, determining progress and identifying and implementing interventions and enhancements for students. Successful graduates of majors in the Education department will be able to create and maintain a safe learning environment that includes rituals and routines and appropriately manage a small group of students. Successful graduates of majors in the Education department will be able to reflect on the effectiveness of lessons, units, and interactions with students and with colleagues to gain insight for improved practice and student learning. Successful graduates of majors in the Education department will be able to demonstrate professional standards of communication, writing and behavior. Successful graduates of the majors in the English department will be able to use critical reading strategies to understand literary texts, generate inquiry, and integrate their own ideas with those of others in oral and written expression. Successful graduates of the majors in the English department will be able to employ flexible strategies for writing and revising, critique their own and others' work, and respond appropriately to varied rhetorical situations and audiences. Successful graduates of the majors in the English department will demonstrate a knowledge of the major traditions of literatures written in English and an appreciation for the diversity of literary and social voices within -- and sometimes marginalized by -- those traditions. Successful graduates of the majors in the English department will articulate a clear understanding of how critical, social, cultural, and historical contexts shape, and are shaped by, works of literature. Successful graduates of the majors in the English department will communicate an awareness of literature’s power to transform our understanding of ourselves, of others, and of the diverse and broken world represented in literary texts. Successful graduates of the majors in the English department will apply the critical skills and creative sensibilities of a humanities education to a variety of professional contexts. Successful graduates of the majors in the English department with a concentration in creative writing will complete a portfolio in creative writing that demonstrates their knowledge and skill in one or more literary genres. Successful graduates of the finance major will be able to demonstrate competency in financial statement analysis, risk management, stock and bond valuation, capital budgeting and working capital management. Successful graduates of the finance major will be able to articulate the functions of financial markets and institutions in the economy including the roles that commercial banks, investment banks, other financial institutions and the markets for financial assets play in raising capital and determining security prices. Successful graduates of the finance major will be able to identify, assess and propose strategies to mitigate various risks against financial losses through appropriate insurance mechanisms. Successful graduates of the finance major will be able to analyze real-life personal financial challenges and apply suitable financial tools and mechanisms to address specific financial needs. Successful graduates of the finance major will be able to apply common modeling tools used in financial decision-making while understanding the value and limitations of such tools/techniques and the importance of good stewardship and ethics in sound financial management. Successful graduates of the history major will be able to critically read and analyze primary and secondary historical texts. Successful graduates of the history major will demonstrate basic research skills and information literacy and will write an analytical paper that explores an historical research question developed by the student. Successful graduates of the history major will demonstrate effective oral communication skills. Successful graduates of the history major will critique and evaluate the work of historians as well as their student peers. Successful graduates of the history major will be able to implement criticism of their own work provided by student peers and instructors into a revised final product. Successful graduates of the Kinesiology major will be able to demonstrate knowledge of human movement and its relationship to physical activity, health and disease. Successful graduates of the Kinesiology major will be able to demonstrate proficiency in skills related to the process of dissection and in knowledge of anatomical structures. Successful graduates of the Kinesiology major will be able to explain how changes in anatomy and disruptions in physiological function are associated with pathology and disease. Successful graduates of the Kinesiology major will be able to demonstrate proficiency in the utilization of technologies, equipment and instrumentation to measure and assess human performance. Successful graduates of the Kinesiology major will be able to critically read, assess, and understand scientific literature including graphical and tabular representations of data, data interpretation. Successful graduates of the Kinesiology major will be able to apply knowledge and skills to practical experiences in the field(s) of exercise science, health and wellness, physical rehabilitation. Successful graduates of the Kinesiology major will be able to articulate and apply a Christian worldview to the redemption of disordered movement and medical service. Successful graduates of the Languages and Linguistics major will acquire the major skills associated with language learning: listening, speaking, reading, and writing. Successful graduates of the Languages and Linguistics major will be able to interact in global contexts, showing awareness of cultural biases and ethnocentric predispositions. Successful graduates of the Languages and Linguistics major will demonstrate self-knowledge and awareness about their own language and culture. Successful graduates of the Languages and Linguistics major will analyze and interpret literary texts or film with critical methodology. Successful graduates of the Languages and Linguistics major will have an awareness of and sensitivity to the ways in which perennial questions have been addressed in cultures and literatures (especially non-Western) other than their own. Successful graduates of the Languages and Linguistics major will be able to interpret and analyze global experiences from a Christian perspective. Successful graduates of the Mathematics major will be able to articulate the mathematical aspect of God’s creation. Successful graduates of the Mathematics major will be able to solve complex mathematical problems. Successful graduates of the Mathematics major will be able to apply quantitative reasoning and mathematical theories to a variety of situations. Successful graduates of the Mathematics major will be able to form and test mathematical conjectures. Successful graduates of the Mathematics major will be able to write cogent mathematical arguments. Successful graduates of the music major will be able to Aurally and visually identify patterns in music at the micro and macro levels. Successful graduates of the music major will be able to perform fluently from standard notation. Successful graduates of the music major will be able to analyze and identify compositional processes and techniques appropriate to varying styles and genres. Successful graduates of the music major will be able to perform appropriate solo literature on a major instrument with technical accuracy and expressiveness. Successful graduates of the music major will be able to perform appropriate ensemble literature on a major instrument with technical accuracy and expressiveness. Successful graduates of the music major will be able to evaluate and assess musical performances and creative works. Successful graduates of the music major will be able to communicate knowledge of musical and stylistic characteristics appropriate to era, genre and culture. Successful graduates of the music major will be able to perform on a keyboard instrument proficiently. Successful graduates of the music major will be able to perform vocally with proficiency. Successful graduates of the music education major will be able to aurally and visually identify patterns in music at the micro and macro levels. Successful graduates of the music education major will be able to analyze and identify compositional processes and techniques appropriate to varying styles and genre. Successful graduates of the music education major will be able to communicate knowledge of musical and stylistic characteristics appropriate to era, genre and culture. Successful graduates of the music education major will be able to apply self-regulated learning to prepare and perform appropriate solo literature on a major instrument, with technical accuracy and self expression. Successful graduates of the music education major will be able to make interpretive decisions based on an appropriate analysis of context and expressive intent. Successful graduates of the music education major will be able to perform appropriate ensemble literature on a major instrument with technical accuracy and expressiveness. Successful graduates of the music education major will be able to evaluate and assess musical performances and creative works / Judge musical performances and works for expressive and technical quality. Successful graduates of the music education major will be able to perform vocally with proficiency. Successful graduates of the music performance major will be able to aurally and visually identify patterns in music at the micro and macro levels. Successful graduates of the music performance major will be able to analyze and identify compositional processes and techniques appropriate to varying styles and genre. Successful graduates of the music performance major will be able to communicate knowledge of musical and stylistic characteristics appropriate to era, genre and culture. Successful graduates of the music performance major will be able to apply self-regulated learning to prepare and perform appropriate solo literature on a major instrument, with technical mastery and self expression. Successful graduates of the music performance major will be able to make interpretive decisions based on an appropriate analysis of context and expressive intent. Successful graduates of the music performance major will be able to demonstrate understanding of the repertory in their major performance area and ability to perform from a cross-section of that repertory. Successful graduates of the music performance major will be able to perform appropriate ensemble literature on a major instrument with technical accuracy and expressiveness. Successful graduates of the music performance major will be able to evaluate and assess musical performances and creative works / Judge musical performances and works for expressive and technical quality. Successful graduates of the music performance major will be able to communicate knowledge and skill to work as a leader and in collaboration on matters of musical interpretation in a variety of settings. Successful graduates of the music performance major will be able to communicate familiarity with appropriate pedagogical techniques for applied lessons in their major performance area. Successful graduates of the music performance major will be able to perform vocally with proficiency. Successful graduates of the Philosophy major will be able to analyze philosophical arguments using the fundamentals of formal and informal reasoning. Successful graduates of the Philosophy major will be able to critically read and analyze philosophical traditions including the ideas, arguments, and figures associated with those traditions. Successful graduates of the Philosophy major will investigate the implications of philosophical analysis for developing a coherent Christian world view. Successful graduates of the Philosophy major will be able to analyze and critique contemporary issues through the lens of various philosophical traditions. Successful graduates of the Political Science Department will be able to express and assess understandings of politics from a Christian perspective that encompass a global scope. Successful graduates will be able to analyze critically, research effectively, write cogently and speak clearly about basic political questions. Successful graduates will be able to describe the major forms of government in the world, primary political theories, and common social science methods. Successful graduates will be able to engage in a variety of vocations in pursuit of a just political order. Successful graduates of the Psychology major will be able to articulate the major diagnostic criteria for psychological diagnosis, the major treatments, or the major theories that underlie those treatments. Successful graduates of the Psychology major will be able to explain the role probabilistic thinking plays in social science research. Successful graduates of the Psychology major will be able to design, execute, and write-up an empirical research study according to the publication manual of the American Psychological Association. Successful graduates of the Psychology major will be able to critically evaluate empirical literature within the social sciences. Successful graduates of the Psychology major will be able to articulate how a sub-area within psychology can be integrated with the Christian faith. Successful graduates of the Psychology major will demonstrate the skills required to present a research project in a professional public forum. Successful graduates of the Recreation, Sport, and Wellness major will be able to articulate in writing, discussion and oral presentation the vital roles recreation, sport and wellness play in the human experience. Successful graduates of the Recreation, Sport, and Wellness major will be able to analyze and defend how recreation, sport, wellness impact one’s quality of life through sociological, psychological, physical and theological perspectives. Successful graduates of the Recreation, Sport, and Wellness major will be able to demonstrate and exhibit technical, tactical and recreational and sport leadership skills in a variety of venues. Successful graduates of the Recreation, Sport, and Wellness major will be able to assess and improve the quality of life for athletes and/or clientele by creating and implementing holistic and developmentally appropriate team and individualized programs. Successful graduates of the Recreation, Sport and Wellness major will be able to design and complete quantitative and qualitative research in the areas of recreation, sport, fitness and wellness. Successful graduates of the Recreation, Sport and Wellness major will be able to articulate and defend a Christian perspective of recreation, sport and wellness. Successful graduates of the Recreation, Sport and Wellness major will communicate their commitment to live balanced, healthy, fit lives and be positive role models impacting their families, friends, neighbors, churches and workplaces. Successful graduates of the Recreation, Sport and Wellness major will be able to creatively and infectiously seek to enhance the quality of life for all. Successful graduates of the Sociology major will be able to demonstrate an understanding of social forces and how they shape the world around us. Successful graduates of the Sociology major will be able to demonstrate knowledge of the skills necessary for critical analysis of the social world and our place in it. Successful graduates of the Sociology major will be able to demonstrate an understanding of the theoretical perspectives advanced by the founding generation of sociological theorists—most notably Karl Marx, Emile Durkheim, Max Weber and Georg Simmel—and an ability to respond critically to their ideas. Successful graduates of the Sociology major will be able to demonstrate familiarity with the dominant strains of contemporary social theoretical discourse. Successful graduates of the Sociology major will be able to evaluate the validity of statistical reports that commonly appear in popular media sources. Successful graduates of the Sociology major will be able to generate elementary statistical analyses using SPSS and interpret the results in plain language. Successful graduates of the Sociology major will be able to identify the research methods appropriate to address a particular social research question and to construct a research design based on their chosen method. Successful graduates of the Sociology major will be able to relate their sociological pursuits to the particular faith commitments that hold and motivate them. Successful graduates of the social work major will be able to demonstrate ethical and professional behavior. Successful graduates of the social work major will be able to engage diversity and difference in practice. Successful graduates of the social work major will be able to advance human rights and social, economic, and environmental justice. Successful graduates of the social work major will be able to engage in practice-informed research and research-informed practice. Successful graduates of the social work major will be able to engage in policy practice. Successful graduates of the social work major will be able to engage with individuals, families, groups, organizations, and communities. Successful graduates of the social work major will be able to assess individuals, families, groups, organizations, and communities. Successful graduates of the social work major will be able to intervene with individuals, families, groups, organizations, and communities. Successful graduates of the social work major will be able to evaluate practice with individuals, families, groups, organizations, and communities. Learning outcomes for the core curriculum have been developed to align with the objectives the guided the creation of the core curriculum. Below, the objectives are presented in bold text followed by the core learning outcomes. Students will gain knowledge of God’s character and purposes as revealed in Scripture and understood in the life of the church. 1.1 Students will demonstrate an awareness of the cultural, geographical, historical, and political contexts of the Bible and how these contexts inform their understanding of Scripture. 1.2 Students will recall key historical figures and events in Scripture and their roles in the meta-narrative of God’s redemptive plan. 1.3 Students will apply biblical wisdom to contemporary moral issues. 1.4 Students will explain central doctrines of the Christian faith and describe the rich diversity of thought and practice within major Christian traditions. 1.5 Students will identify a particular doctrine from their own Christian tradition and its contribution to the wider development of the Christian tradition. 1.6 Students will commit significant parts of Scripture from memory as a means of embodying truth in the life of the Church. 1.7 Students will reflect theologically on matters of faith and life. 1.8 Students will participate in theological dialogue marked by respectful listening and response. *Students will achieve these learning outcomes through selected coursework in the Division of the Humanities. Students will gain knowledge and pursue attitudes of stewardship of God's creation in all its complexity, coherence, and beauty. 2.1 Students will be able to identify some of the central principles of the creation as discovered by the natural sciences, mathematics, or computer science. 2.2 Students will be able to identify some of the strengths and limitations of scientific methods. 2.3 Students will be able to discuss some common themes observed within the diversity of creation. *Students will achieve these learning outcomes through selected coursework in the Division of Natural Sciences, Mathematics, and Computer Science. Students will gain knowledge of various perspectives on human nature and will pursue an understanding of humankind as created, fallen, and redeemed. 3.1 Students will examine their beliefs and articulate a more coherent and viable understanding of humankind as created, fallen, and redeemed. 3.2 Students will be able to compare and contrast the Christian worldview of human nature with differing worldviews. 3.3 Students will examine diverse and even conflicting perspectives to complex subjects within natural and human systems. Students will gain knowledge of and pursue engagement with global cultures in all their diversity. 4.1 Students will be able to recognize cultural differences. 4.2 Students will be able to compare and contrast the literatures of two or more diverse cultures. 4.3 Students will be able to exchange personal and cultural information with members of a foreign-based culture group. 4.4 Students will demonstrate how language both shapes and is shaped by culture. Students will gain understanding of diverse ways of knowing about nature, humankind and God, and an ability to draw on multiple disciplinary perspectives when confronting complex problems. 5.1 Students will be able to identify and compare different ways of knowing about nature, humankind, and God and the relations between them. 5.2 Students will be able to discuss how different disciplinary perspectives might be brought to bear on complex problems. 5.3 Students will discuss complex problems to examine different conceptions of the relations between God, humankind, and nature. 6.1 Students will explain the strengths and limitations of both a Christian moral framework and the social sciences in promoting moral discernment, individual flourishing, and the common good. 6.2 Students will recognize, articulate, and apply a Christian moral framework for their engagement in social, political, and/or economic structures. 6.3 Students will explain the strengths and limitations of particular political and/or economic structures in promoting individual flourishing and the common good. 6.4 Students will articulate the relationship of a Christian moral framework, as well as other philosophical frameworks, to historical or contemporary social, political, and/or economic structures. *Students will achieve these learning outcomes through selected coursework in the Division of the Social and Behavioral Sciences. 7a.1 Students will construct a clear and insightful problem statement with evidence of all relevant contextual factors. 7a.2 Students will propose solutions/hypotheses that are sensitive to ethical, logical, and/or cultural dimensions of the problem. 7a.3 Students will practice articulating arguments in written form. 7a.4 Students will critically read a text in order to discover the worldview and social context of its author and audience. 7b.1 Students will explain information presented in mathematical forms and make appropriate inferences based on that information. 7b.2 Students will select quantitative information that is relevant to an argument, present it in an effective format, and draw accurate conclusions from it. 7c.1 Students will engage in oral discourse, discussion, and debate throughout various coursework. 7c.2 Students will use oral communication to express ideas and understandings throughout various coursework. *Students will achieve these learning outcomes through coursework in the major. 8.1 Students will identify and discuss foundational elements of artistic form and expression which create aesthetic experiences. 8.2 Students will engage with works of art as receiver and/or creator. 8.3 Students will discuss the meaning and value of creative expression within historical and/or cultural contexts. *Students will achieve these learning outcomes through selected coursework in the Division of Fine Arts. 9.1 Students will practice habits of physical, emotional, and spiritual wellness. *Students will achieve this learning outcome through participation in the college’s physical education program.